If your Exchange organization has more than one administrators, and sometimes you need to know who did what, then you should use Exchange Administrator Audit Log. creating new mailbox, changing receive connectors, transport rules etc. Those information are quite important during troubleshooting your Exchange environment. In Microsoft Exchange 2010 RTM, Administrator Audit Log logged all operations to mailbox. When you enable audit log then you need to use parameter AdminAuditLogMailbox to specify mailbox to store all audit logs. But with SP1 for Exchange 2010 you don’t need to use mailbox anymore. Now all logs are stored in a hidden, dedicated arbitration mailbox. TestCmdletLoggingEnabled – The function of this parameter is to choose if the logging of Test- cmdlets, like Test-OutlookWebServices, Test-ReplicationHealth, is enabled or not. The default value is false which means they are not enabled. AdminAuditLogAgeLimit – The function of this parameter is to control how long an entry in the log is preserved. Even though this parameter is not yet functional in Exchange 2010, once it is implemented, it will be useful as log entries are stored as e mail messages and too many e mails will clog up the inbox. with parameters which we want to set. 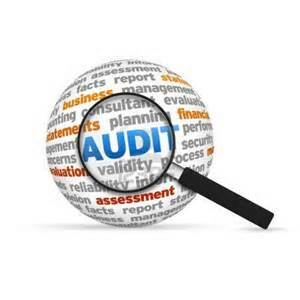 By default when we enable Administrator Audit Log, all operations made by administrators are logged. Tagged Administrator Audit Log, Audit, Exchange 2010, Get-AdminAuditLogConfig, Set-AdminAuditLogConfig. Bookmark the permalink.